A lesson about implementing transformational “change” in your organization. Two weeks ago Auburn’s head football coach (CEO) Tommy Tuberville fired his offensive coordinator (VP)Tony Franklin in a dramatic mid-season move most will argue was done to save his own job. The firing followed what could only be described as a dismal year for Auburn football where they started the season ranked 9th in the nation and after losses to LSU, Vanderbilt and Arkansas no longer show up in the polls. For those who don’t follow Auburn football it is important to know that historically they have run a conservative offense relying heavily on running up the middle and the use of the option. 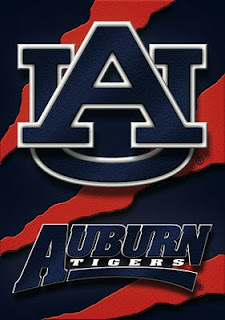 The CEO (Head Coach) felt this offense hasn’t been producing the results needed to achieve the goal his Board of Directors (Auburn Trustees) or shareholders (fans) expect - a national title. As a result, the CEO made the bold decision to adopt an entirely new offensive strategy called “the Spread”. Considered by most to be a very dynamic and complex - no huddle/shotgun - offense this style is a vast departure from anything the Auburn “company” has done before. Like any good CEO introducing “change”, Tommy Tuberville researched and hired one of the guru’s of “the Spread” offense, Tony Franklin, and named him his new Offensive Coordinator (Vice President). He would not let Tony Franklin hire his own assistance but was told instead to use existing assistants - loyal to the CEO. An insightful radio interview with Tony Franklin revealed classic mistakes made by the CEO in implementing change in his organization. The VP stated there was little communication between him and the CEO after he was hired. There was no social contact whatsoever. The VP also stated there was little if any attempt by the CEO’s assistant (long standing employees and managers) to befriend him let alone embrace the new guy. Though the CEO would speak publicly of his support and commitment to this new offense, even when things were not going well, the interview left one with the distinct impression he did little else in the way of actions to make this transformation successful. And on game days, the CEO would not hesitate to make public (over the headphones) critical observations of his new VP’s play calling. Secondly, he mistakenly believed that you can manage a transformation strategy in the same manner as you would an incremental changes and past success will assure future success with this venture. Incremental change - continuous improvement - is linear, predictable and logical. Transformational change, on the other hand, is a redefinition of who we are and what we do. It is often unpredictable (responding to unforeseen circumstances, challenges and opportunities), and illogical (demanding people and organizations change when they are the most successful). Most importantly, past success is not a valid indicator of future success. In fact, past success may be the greatest obstacle. In closing, organizations don’t change. People do - or they don’t. If they don’t trust leadership, don’t share the organization’s vision, don’t buy into the reason for change, and aren’t included in the planning - there will be no successful change - regardless of how brilliant the strategy. Tony Franklin was noble for accepting responsible for the failure - however, those who know about implementing significant change in an organization recognize this failure was caused by the tone and manner in which the CEO, Tommy Tuberville, improperly introduced, embraced and supported the change. P.S. Tommy Tuberville was fired at the end of the season after a dismal 5-7 record. The new coach, Gene Chizik, reintroduced "the Spread" offense and ended his first year with a respectable 8-5 record and a perfect 14-0 season and National Championship title in his second year. * Italicized text taken from The Biggest Mistakes in Managing Change by Carol Kinsey Goman, Ph.D.
Strategic Planning - Ugh! Is it REALLY Necessary? The words Strategic Plan makes most business owners cringe. They conjure up images of hours upon hours of work and pages of writing. School all over again! But they know in their gut they should have one. The fact is, the vast majority of small and medium businesses don’t. It’s not too surprising then that an equal number of small and medium businesses struggle to grow or flat out fail. Ok, I’ll admit that was a cheap shot designed to get your attention. But sadly it is true too. Here’s an interesting fact, according to bankruptcy lawyers, the top three reasons companies fail are: (3) they are undercapitalized (run out of cash), (2) they fail to adapt to a changing market (stubborn), and (1) the management team was in complete denial (out of touch with the marketplace). Funny thing is that everyone of these issues would be addressed during the building of a comprehensive Strategic Plan. But at what cost? How many different directions did you have to go before you found a path that worked? And will staying on that path continue to work? 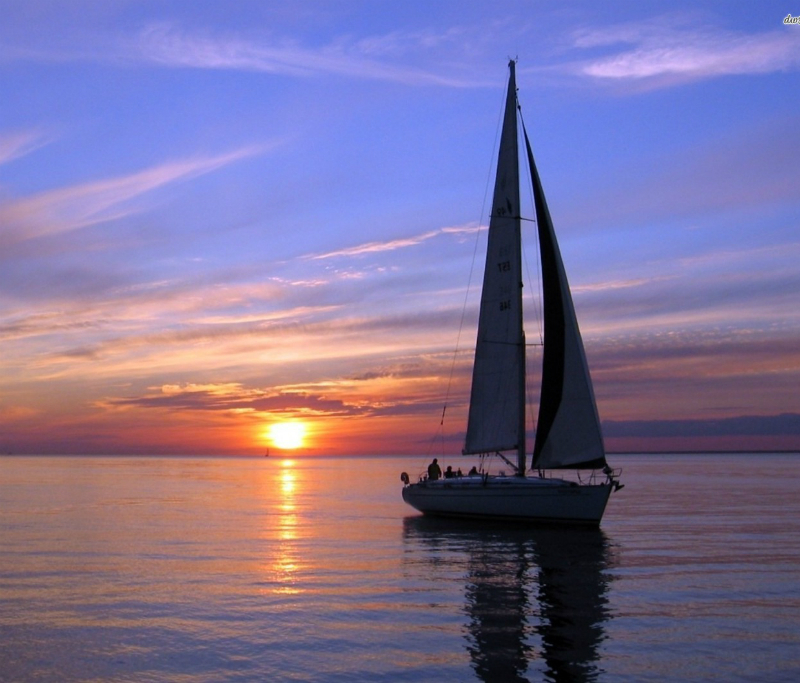 They say not having a Strategic Plan is like being on a sailboat in the wide expanses of the ocean without a rudder. Yes, the winds of the marketplace will blow you somewhere. But is it where you wanted to be and how much capital and time did it take you to get there? This still doesn’t apply to you? Try this. Where do you see your business in three years? Have your management team/employees bought into this vision? Can you answer these question in a measurable way? Who are your competitors and what are they planning? How will this affect your future growth? Properly done, a sound strategic plan will address these issues and provide you with a common framework for decision making in the organization. It will also prove to be an invaluable resource for making personnel decisions, allocating resources and capital, creating partner alliances, and building a strong organizational. But more importantly it will give you peace of mind - allowing you to sleep better knowing you have a documented plan in place for the most important part of your life - other than your family. A well written Strategic Plan should fit on just one page. Yes, I said one page. Not a volume. After all, if you won’t refer to it periodically and your team can’t grasp it because it is too cumbersome then it is of no use. Ideally, the process of building a Strategic Plan should involve a trusted adviser from outside your company (industry) to bring both a different perspective as well as challenge your perceptions of your company’s strengths and weaknesses and that of your competitors. I remind you again of the number one reason for failure - “the management team was in complete denial”. I refer to this as, "drinking your own bathwater." Don’t have the time or are questioning the ROI of such an undertaking? Think about all of those "experiments" you tried to spur growth - the bad hires, the poor marketing decisions, the new products/services that failed. How much time/money did that consume? A Strategic Plan keeps you from making bad business decisions and on a predictable well thought out growth path. And if you need more incentive, the peace of mind alone, of knowing where your company is headed and how you will get there, is worth the investment. There are folks out there that can help. Seek them out. The future of your company is too important not to. Want to learn about what it will take to build your growth plan? Visit AllegroConsultant.com The first coffee is on us.